"All-in-one" is deservedly in quotes. 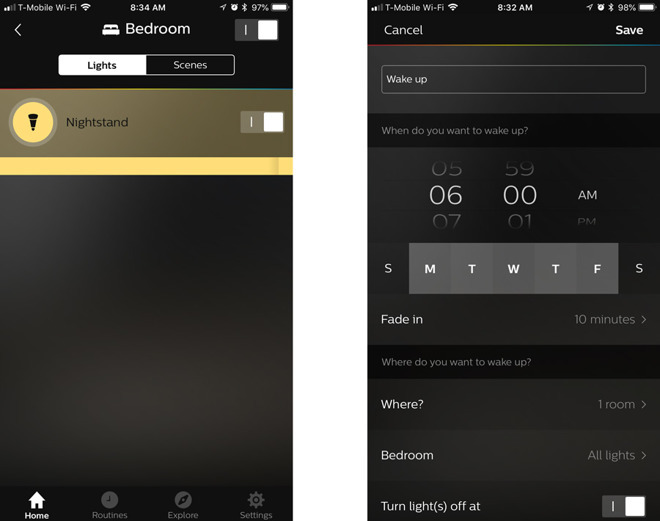 Though the Wellner comes with a pairable dimmer switch that also ships with some other Hue kits — it doesn't come with a Hue bridge, which is necessary for the smarthome functions most people are buying the product for. The lamp itself isn't an integrated light, either. 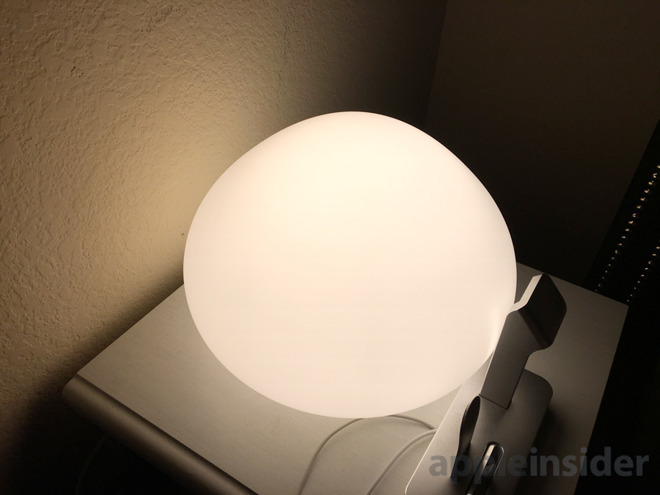 Instead it comes bundled with a standard Hue White Ambiance bulb — screw it in, turn it on, and configure it with the Hue iOS app, and you might as well be using any other Hue product. You could also swap in another lightbulb, smart or otherwise if you were so inclined.